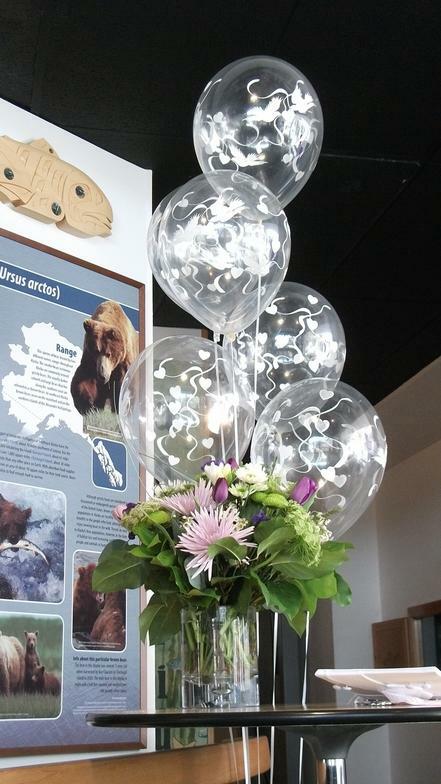 Balloons by Night Moods carries both latex and foil balloons sold Individually, in Bouquets, Columns and Arches and in Fun Whimsical Creations. 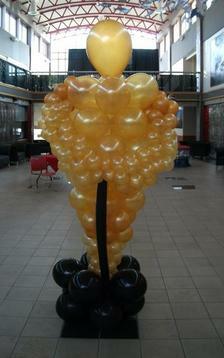 Balloons Night Moods has a Balloon Artist on hand to make your event the event that will be talked about for years. Why buy your latex balloons from Balloons by Night Moods? Balloons by Night Moods carries environmentally friendly Latex Balloons in over 60 colors and by mixing these 60 colors we can make another 66 colors so matching the colors of your event is easy. Balloons by Night Moods uses Ultra High Float to extend the float time of their Latex balloons for weeks. Balloons by Night Moods also carries over 800 different styles of Foil balloons for just about every balloon occasion. Balloons by Night Moods will deliver your Balloons anywhere in the Juneau / Douglas area for only $10.00. Delivery fee may be more for large events that take many trips to the event sight from the store. Yes, kids a are always welcome at Balloons by Night Moods so bring them in and let them pick out the balloons for their next Birthday party. or give us a call at 523-1099. We love talking to our customers the old fashion way!